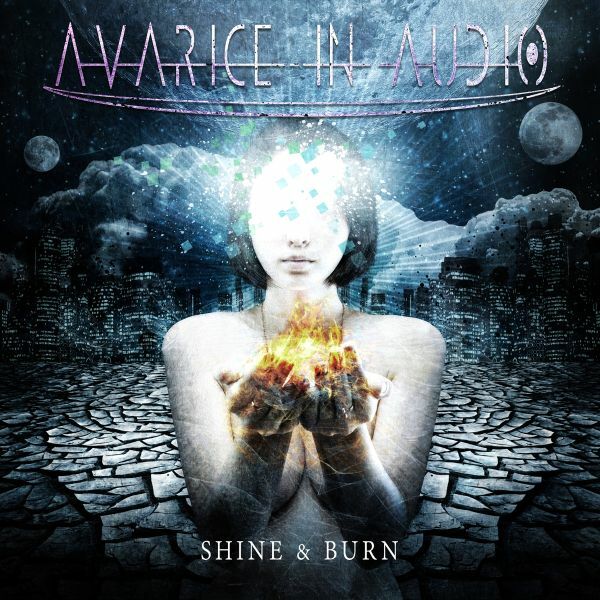 In 2014 AVARICE IN AUDIO released the "Shine & Burn" album to positive acclaim, delivering us a potent combination in dark electronics and EDM infused influence, with Jade's hauntingly beautiful female voice and Gerry's almost devilish growls to form an unexpectedly delightful combination. 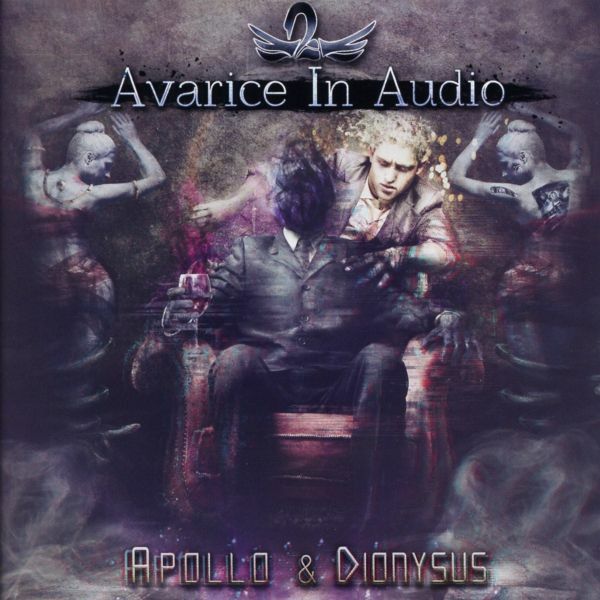 Today, we are excited to unveil one of our hidden gems in AVARICE IN AUDIO's second album "Apollo & Dionysus", an album drenched in symbolic reference, high quality production value and raw emotions fused together to create something greater than the sum of their parts.With the music written and produced in conjunction between new band member and longtime collaborator Lawrie (STUDIO-X, CRYOGENIC ECHELON) and Ayax (ASCENSION EX, CRYOGENIC ECHELON), and with the lyrics written between Gerry and the guest collaborators, "Apollo & Dionysus" strongly confirms that the AVARICE IN AUDIO triumvirate have become an absolute force to be reckoned with on the underground electronic music scene! More versatile and unpredictable than ever, the Australian gang again covers on this new studio album a broad range of genres in electronic music. From the IDM and Drum N' Bass infused "Crystal Tears" (featuring guest vocals by MONDTRUME!) to the melancholy inducing orchestral closer "Heartstrings", from the groovy modern synth pop "Juvenile Desires" (featuring MR KITTY) to the techno body club hit "Her Fire", from the minimal and almost innocent nintendo bleeps of the addictive "Fire Is Enough" to the noir and tortured "Six Feet Under", AVARICE IN AUDIO have crafted both unique and experimental songs alongside potential new harsh elektro club-hits like "World Without Song", "Pater Noster" or yet "Anthracite Nights". Evoking comparisons to AESTHETIC PERFECTION, FADERHEAD, COMBICHRIST, GRENDEL or yet LAME IMMORTELLE, AVARICE IN AUDIO present us here a true chef doeuvre of what dark elektro anno 2016 should sound like: powerful & hypnotizing, melodic & experimental, provoking & alluring, fresh & modern. The album also comes out as a deluxe carton box edition with a very special second disc: a full track by track remix album called "Dreamers Never Prosper " featuring industrial/alt electros finest artists, featuring FREAKANGEL, DIE SEKTOR, LUDOVICO TECHNIQUE, PANIC LIFT, ALTER DER RUINE, IVARDENSPHERE, KULT OF RED PYRAMID, STUDIO-X, NITRO/NOISE, [SNUFF], TERROLOKAUST, BIOMECHANIMAL alongside a bonus remix by fellow Australian act SIRUS. Each project contributed their own personal flair to the original songs, transforming them into something stunning. 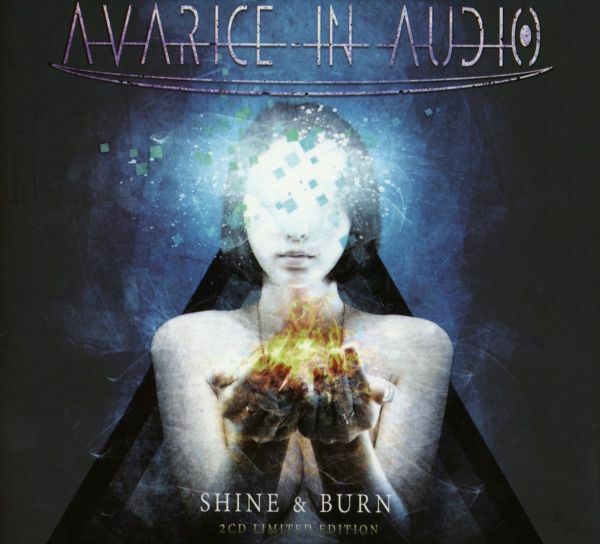 With "Shine & Burn" (2014) and "Apollo & Dionysus" (2016), the Australian gang of AVARICE IN AUDIO have served us an impressive range of electronic music genres, profiling themselves as one of the most versatile and unpredictable bands on the electro industrial scene.Today, they return after two years to deliver "No Punishment : No Paradise", their 3rd full length studio album. Once again eschewing conventional musical practices, this record has been built from the ground up, shunning the polish of previous works in favour of a more visceral, raw and unapologetic sound. Gerrys devilish screaming has never sounded so good once paired with Bens stellar vocal range of Gregorian era chanting, punk rock style singing and his own screams in unison.The songs this time around are much more "Australian" in style than ever, with synthpop style instrumentals meeting Lawrie and Bens skilled guitar work, both blending in grungy rhythms and soaring solos mixing in with the electronic layered production.Featuring collaborations with Industrial Pop provocateurs AESTHETIC PERFECTION, Aggrotech Pioneers PSYCLON NINE and Progressive Electronica Producers BLAST RADIUS, AVARICE IN AUDIO have favoured here a "Quality Over Quantity" approach to collaborations, intending to seize the listener with their artisan approach to music. 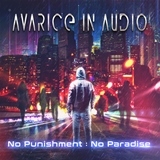 "No Punishment : No Paradise" is undoubtedly harsher, dirtier and harder than any previous AVARICE IN AUDIO output so far, while still holding on to the bands key sound characteristics including infectious synth melodies, vicious vocal dualities, groovy basslines, a modern electro production style and overall noir atmospheres. A true hypnotic tour de force of dark elektro industrial straight into your brain for the absolute sonic punishment before redemption.Definitely recommended to fans of AESTHETIC PERFECTION, FADERHEAD, COMBICHRIST, GRENDEL, LAME IMMORTELLE or yet FREAKANGEL. Alfa Matrix has been using the catchline "Electronic Music With Attitude" as their main label slogan for years. Their recent signing from Australia, AVARICE IN AUDIO, are a band that truly embrace the Alfa Matrix mantra, and show expertise in their craft with a unique blend of Synthpop/EDM and Dark Electro stylings. Coming into their own on the successful lead single "Frostbite" released a few months earlier, the full length debut is here in the form of "Shine & Burn", a mixture of melodic trance and emotional aggression sure to set the world on fire: "Stars exist to Shine & Burn"...Cold soundscapes, decadent baselines, romantic leads and a beauty and beast style vocal dichotomy between members Jade Pegg & Gerry Hawkins. Gerry's screaming and frantic vocals directly contrast with Jade's ethereal operatic vocal style, transforming the songs almost into an emotional war of attrition. The lyrics from Gerry are schizophrenic in delivery and subject, rushing from heartbreak to addiction, to self imposed punishment and struggling with celebrity. While Jade's delivery comes with the touch of promise, of hope for finer things in the future. Songs like "The Cassandra Complex", "Bleed As One" & "Punished" show what the two are capable of, delivering a new style hybrid of genres together to make something catchy, thought provoking and danceable.Combined with extra collaborations with maverick dark electro producers ASCENSION EX, futurepop act XP8, futuristic artist REDUX and electro-rock darlings MiXE1, Jade & Gerry show off their versatility and genre slicing styles with surgical precision. 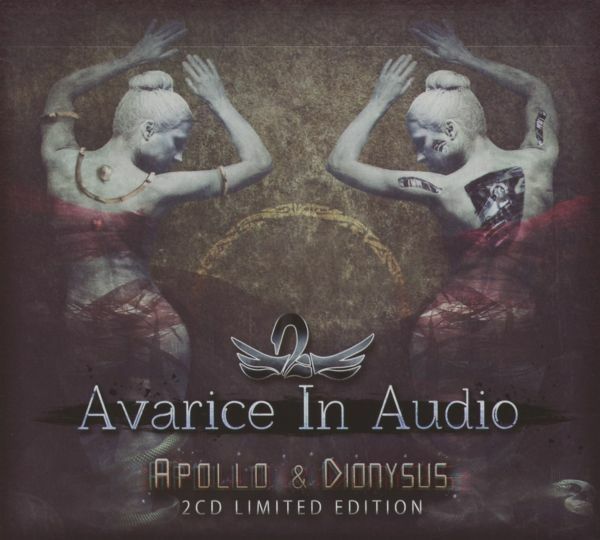 Evoking comparisons to AYRIA, GRENDEL, L'AME IMMORTELLE or yet ASHBURY HEIGHTS and using the modern production styling of bands like NERO, AESTHETIC PERFECTION & VNV NATION is what AVARICE IN AUDIO deliver, a ultimate sonic experience rarely heard on a debut album naming them as candidate newcomer of the year on electro land?The deluxe double-CD carton box edition of the album is augmented with remixes from huge names like C-LEKKTOR, ASSEMBLAGE 23, ?AIMON, NITRO/NOISE, STUDIO-X and many more delivering their personal swings to the AIA sound.